Generous, spacious building on Park Blvd near attractive Lake Merritt district. 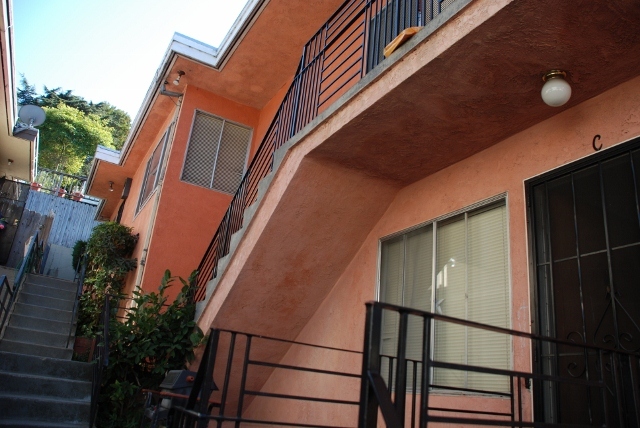 Bright, sunny units with good flow of space & comfortable floorplans. Possible owner occupancy of the vacant top unit with private patio. Good curb appeal with entry gate, common laundry room, four garages & more. Pleasant interiors with large windows and plenty of light throughout. Copyright Nora & Saed Moakher. All rights reserved.